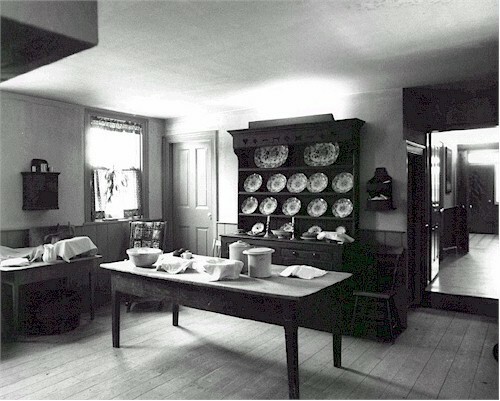 It's not a new idea, kitchens of the past had furniture and not built-in cabinets. We've complicated our lives with too much stuff and cramped our spaces. 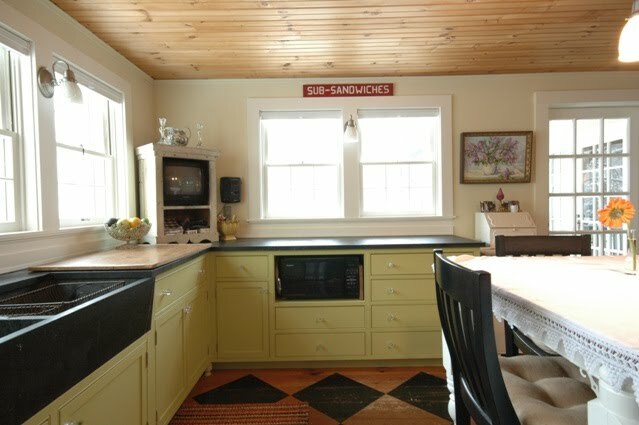 A kitchen doesn’t have to have upper cabinets. 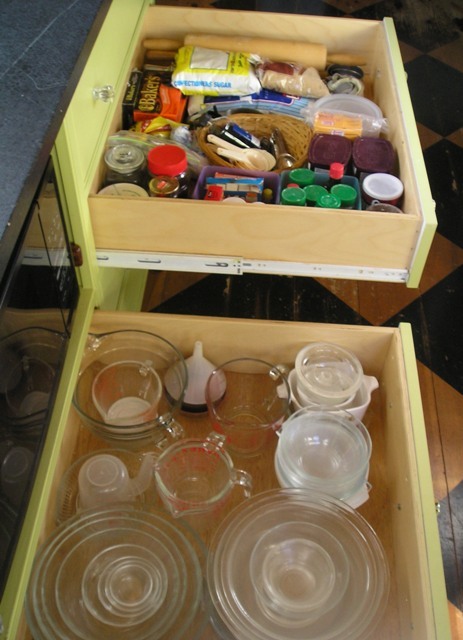 Highly functional and quality base cabinets can be built to accommodate everything and anything. For example, if you want more windows for sunlight and openness plan to maximize all your base cabinets for optimum storage. In my own kitchen I opted for windows instead of wall cabinets. In the photos here I show you how I use the base cabinets for my baking needs. 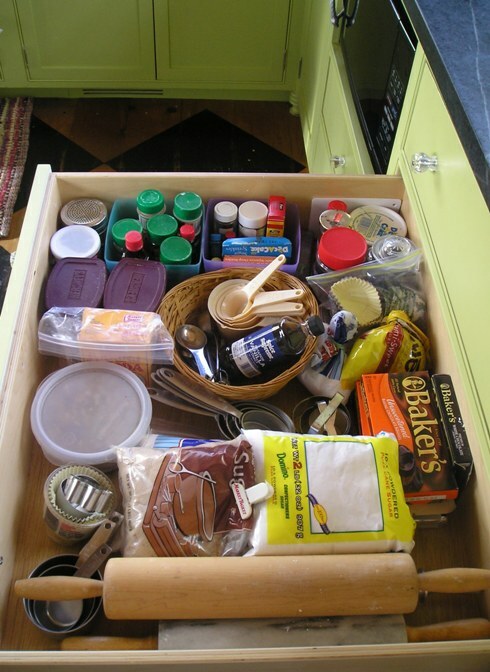 I love to bake which meant that I needed to have my baking supplies handy and easy to access. I had drawers built to store my baking supplies. It is easier to reach into a drawer than it is to sift through items on a shelf.